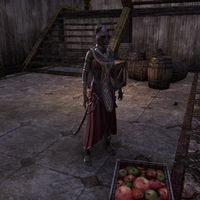 Chirsusah is a Khajiit laborer who can be found in Rawl'kha. You'll find her working in The Cat's Own Steed. She has no unique dialogue. Contract: Reaper's March: Carry out a contract on behalf of the Dark Brotherhood. This page was last modified on 8 July 2018, at 22:23.